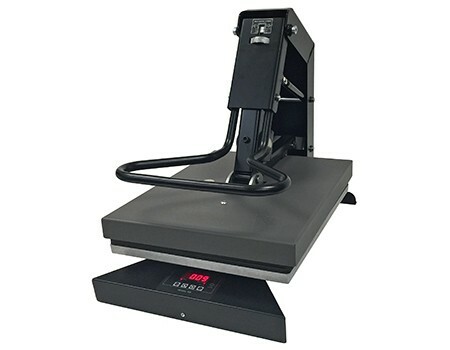 Insta’s Model 158 Digital Auto Release Digi-Press offers one of the major benefits of an automatic machine - the auto-open feature - with the lightweight, ergonomic design of a manual clamshell heat press. The Model 158 meets the demands of today’s busy retail environment and is also a practical solution to use as a pre- and post-curing agent for the expanding digital direct-to-garment marketplace. Protective heat shroud and one-piece wrap-around handle assembly. Integrated digital controller which features controls for time, temperature (F˚ or C˚), cycle counter and auto-off. 35˚ opening for easy placement and removal of garment. Safety tape and a three second pre-open beep for safety.